A fun and education tool to teach children the joy of coin collecting. The U.S. Mint's 50 State Quarters Program is the most successful coin program in history. Book includes facts about the state, history of the design, mintage figures, grading hints, common mint errors. A fully updated and expanded edition. 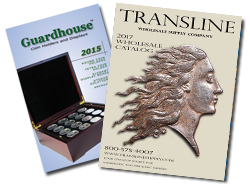 Includes a comprehensive year-by-year analysis, historical pricing data, and collecting tips. This book is divided into three parts: Planchet errors, Die errors, and strike errors. Each section is broken down by date and mintmark and many photos are provided. Award-winning author David L. Ganz provides an insider's perspective of the widely popular "America the Beautiful" National Park Quarters Program, which includes its Congressional sponsorship, planchet design proposals, and background on the National Park System.